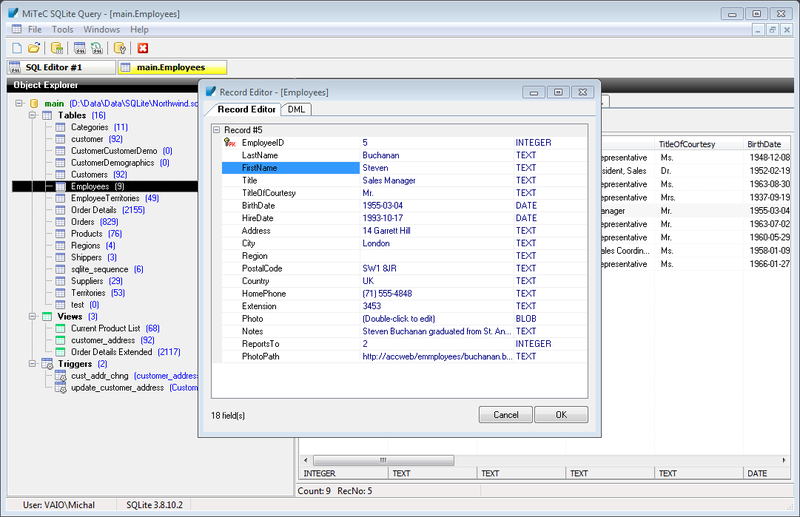 A must-have tool for SQLite3 databases administration and data manipulation. 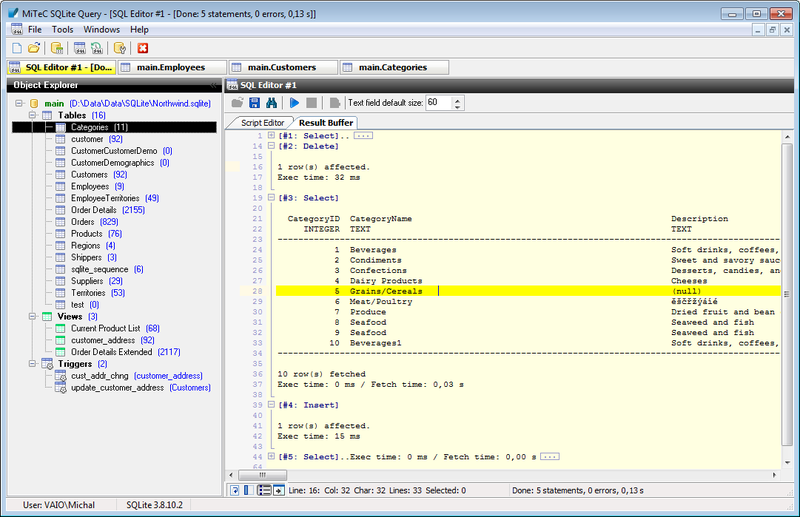 This tool provides complete management of any SQLite3 database. 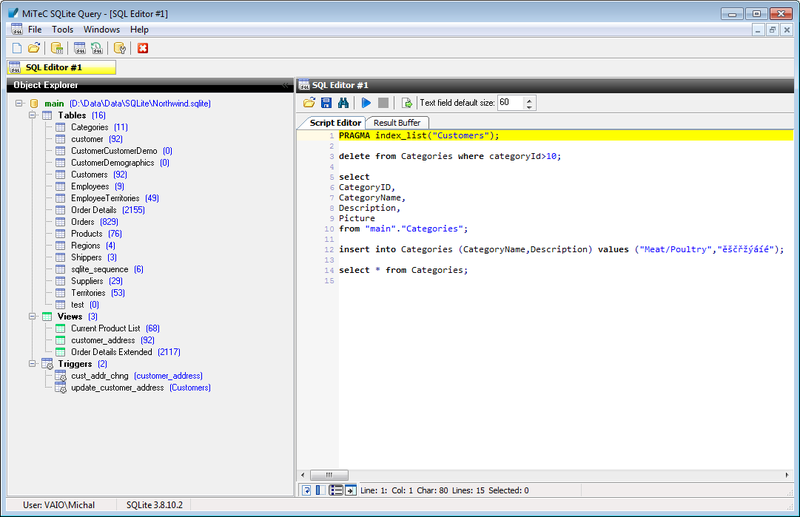 It contains SQL Editor with syntax highlighting. 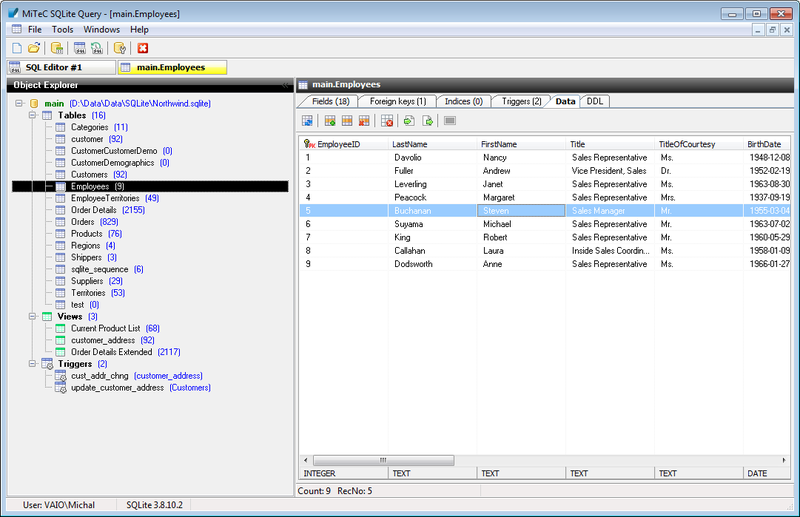 You can run any type of sql statement or script. Output is flushed to formatted text, not to grid, what it allows more flexible and synoptic result overview. 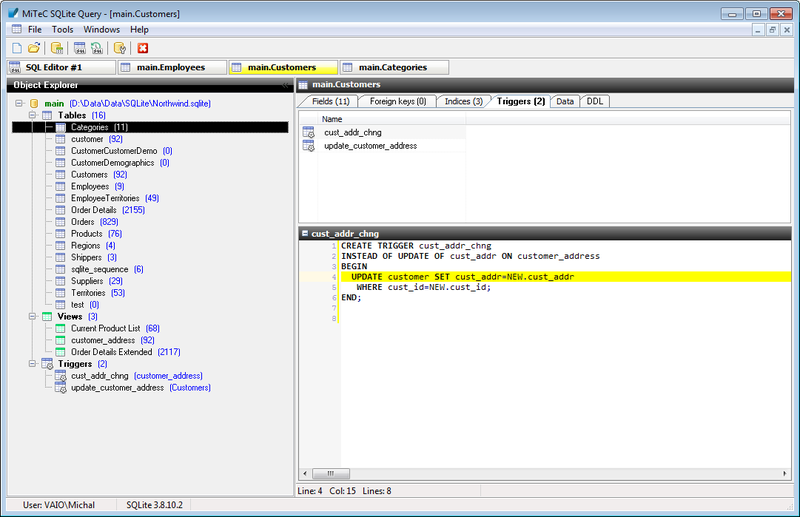 Every correctly run statement is saved in SQL History Buffer. Result buffer supports minimap for quick orientation in large result sets and result folding (results for every run statement can be collapsed to one line - similar to code folding) You can open multiple instances of this editor to run "simultaneous" queries. Provides comprehensive and full-featured information about table structure, its indices, triggers etc. 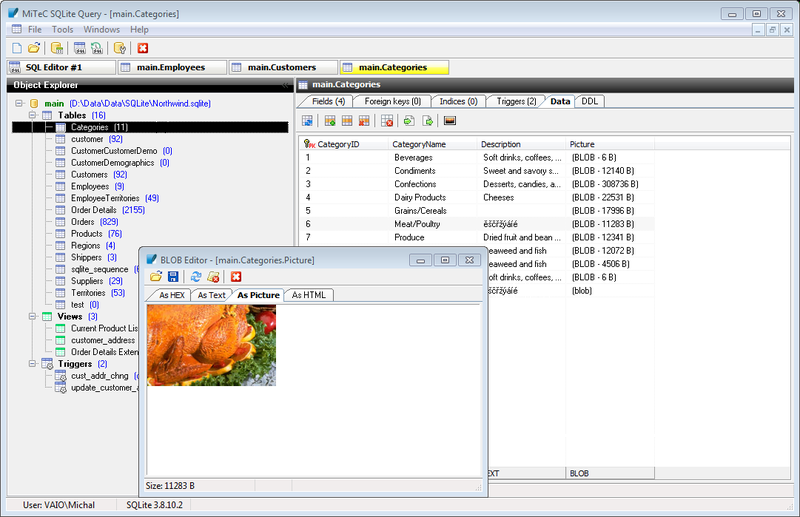 Here you can inspect, edit, export and import table data. It contains powerfull Record and BLOB editor. 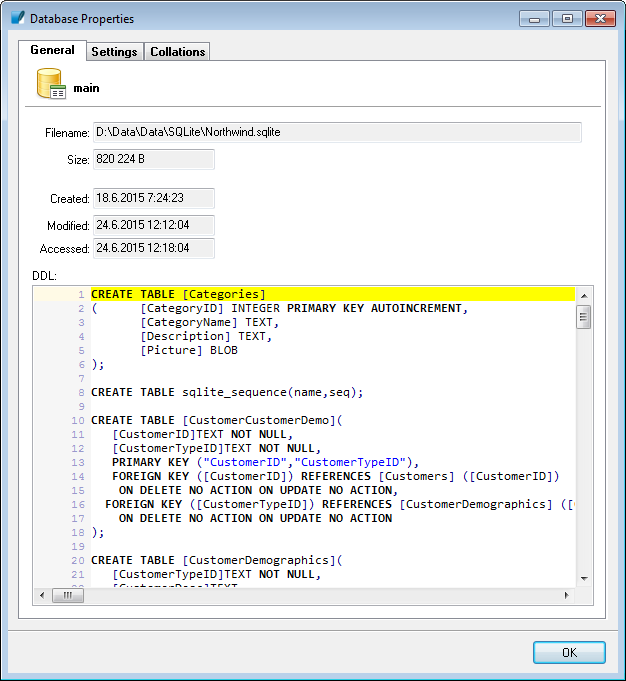 Table data can be exported to CSV, SQL and XML (including BLOBs). Any data from CSV or XML (DataPacket 2.0) can be imported into table. Dynamic field assignment or auto-increment counter are available. Here you can inspect every defined trigger and its source. Here you can review every succesfully run statement. Free to use for private, educational and non-commercial purposes.